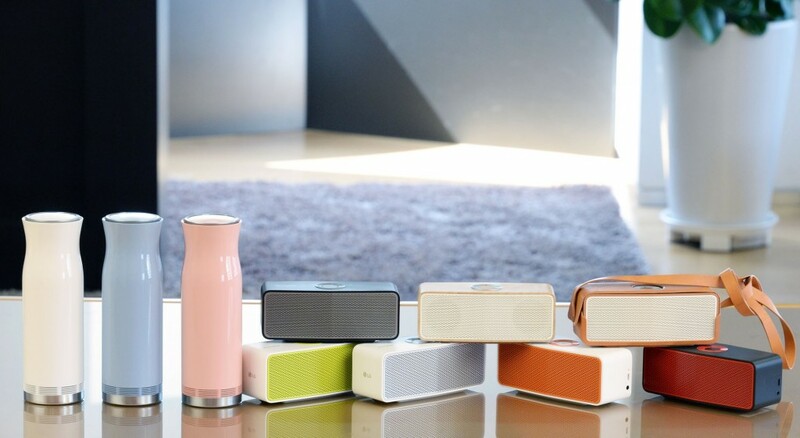 SEOUL, Aug. 19, 2015 — LG Electronics is expanding its wireless audio collection with two new Bluetooth speakers debuting at IFA 2015 in Berlin. LG Music Flow P5 and SoundPop 360 were both developed for consumers who want the convenience of portability but are uncompromising in their expectations for high sound quality. The LG Music Flow P5 is an extremely portable speaker that belies its powerful sound. As part of LG’s smart Music Flow series, the P5 supports LG’s Auto Music Play feature which automatically begins playing music when the audio source comes within range. Its rechargeable battery allows for 15 hours of continuous playback, more than enough for a full day of use on a single charge. The P5 and its previously announced sibling, the P7, represent LG’s commitment to expanding its wireless audio category to offer the most advanced products with compelling design and versatility. Meant to appeal to today’s active listeners, LG designed the SoundPop 360 to be extremely portable. 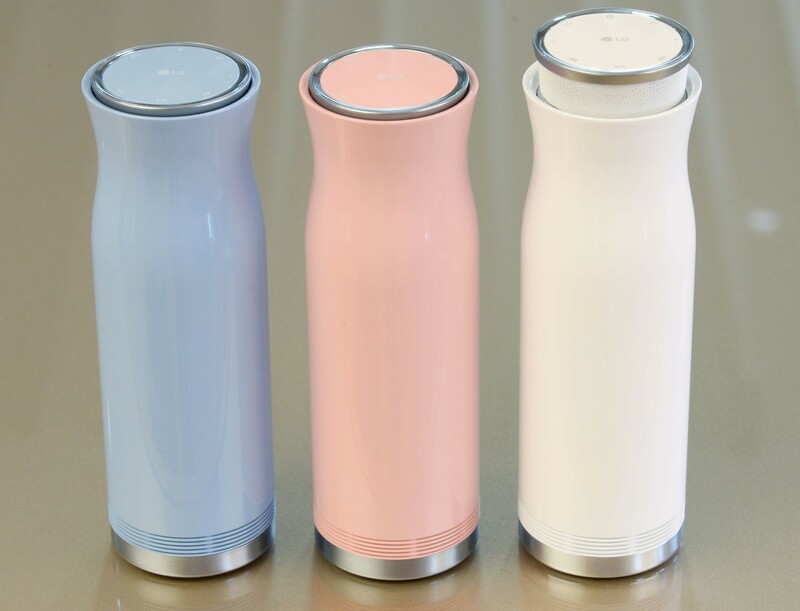 The speaker’s unconventional design was inspired by a coffee tumbler, helping it fit naturally into listeners’ daily lives. The easy to use LG SoundPop 360 is a perfect fit for any interior decorating scheme, blending in seamlessly with the user’s other furniture and appliances. The strong sound quality and small body of the SoundPop 360 are the result of close collaboration between LG’s Home Entertainment and Mobile Communications Companies. The cylindrical speaker has a 360 degree range so music sounds great regardless of the listener’s relative position. It’s perfect for listening in large groups and the party can go well into the night with 20 hours of battery life. With LG SoundPop 360, you can add music to any setting at any time. Both new devices offer advanced features only found in LG advanced wireless audio products. With Multi Point, the speakers can be connected to multiple Bluetooth devices simultaneously allowing two users to simultaneously control the devices and share music. Conversely, Dual Play allows listeners to connect two LG Bluetooth speakers to one mobile device, offering even more customization options such as stereo mode. Additionally, the TV Sound Sync feature allows either speaker to be connected to a Bluetooth-compatible TV so that users can have a private viewing experience or go the other way and create a personal home theater. LG’s expanded Bluetooth speaker lineup and a special edition of Music Flow P5 will be on display at IFA 2015 from September 4-9 at LG’s booth in Hall 18. Additionally, the company’s new wireless range-expanding capabilities will be demoed on Music Flow networks without a router.